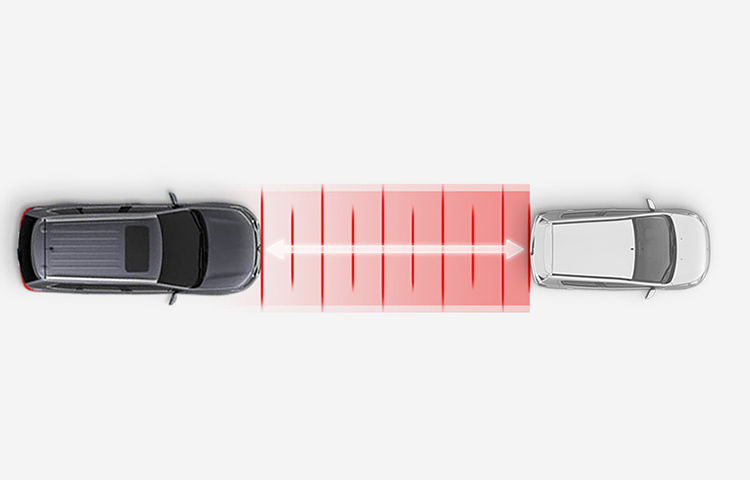 The available Adaptive Cruise Control (ACC)2 system uses radar technology to judge the distance between you and the vehicle ahead, helping you maintain a safe driving distance. If the car travels at a faster speed than you or moves out of your lane, your preferred speed will resume. 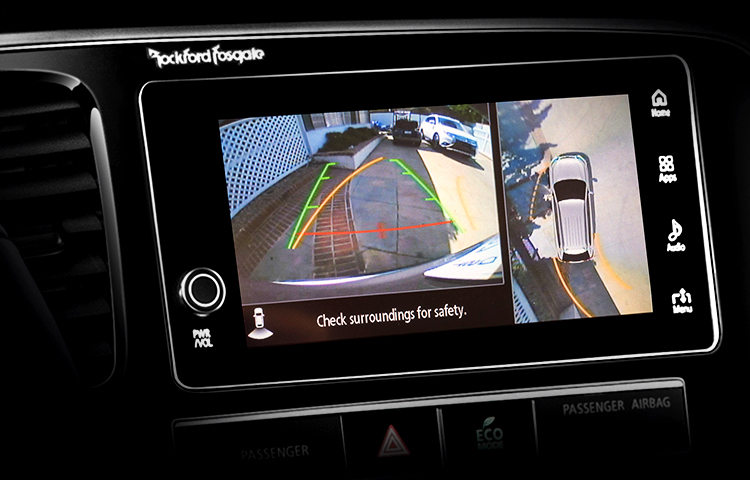 Using multiple cameras, this available feature creates a composite bird's-eye view of your surroundings, helping to show not only what's directly behind you but all around your Outlander PHEV.3 Parking and backing up couldn't get much easier. 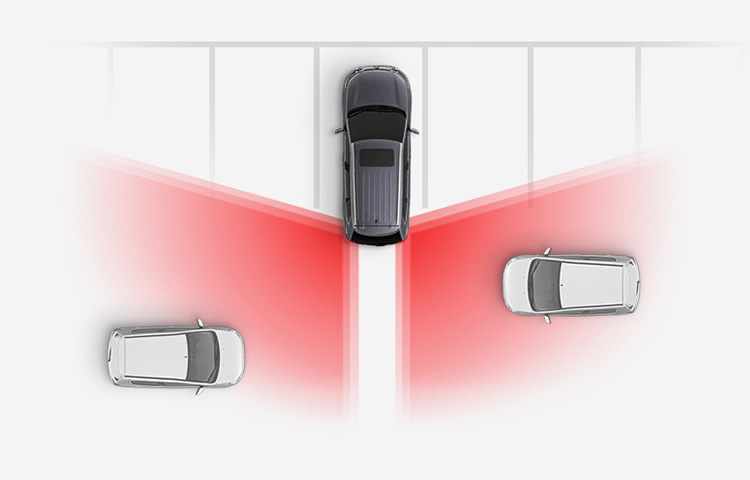 The available Lane Departure Warning (LDW) system4 uses an onboard camera to monitor the lane in front of you. 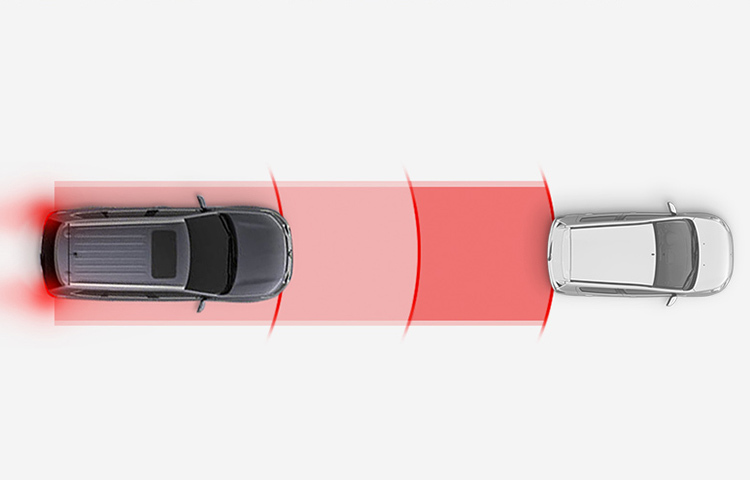 If it detects your vehicle unintentionally drifting from its lane, it sends you both visual and audible alerts. 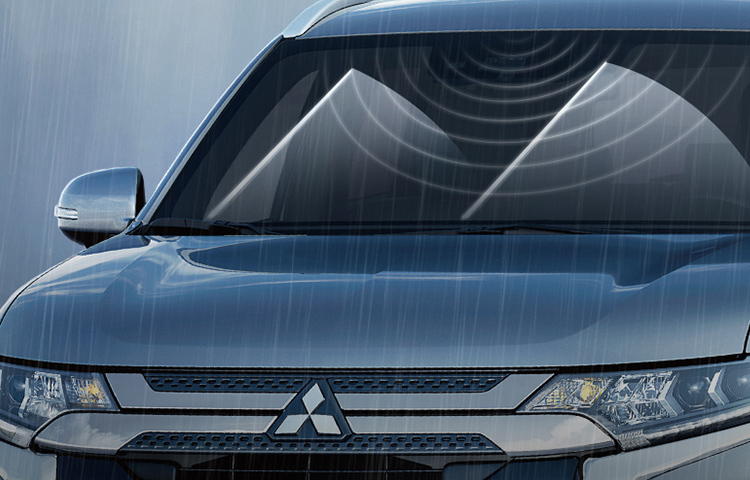 The Outlander PHEV's rain-sensing wipers activate at the first drops of rain, and adjust to match the intensity of the rainfall so you can continue to focus on what's ahead without having to take your hands off the wheel. 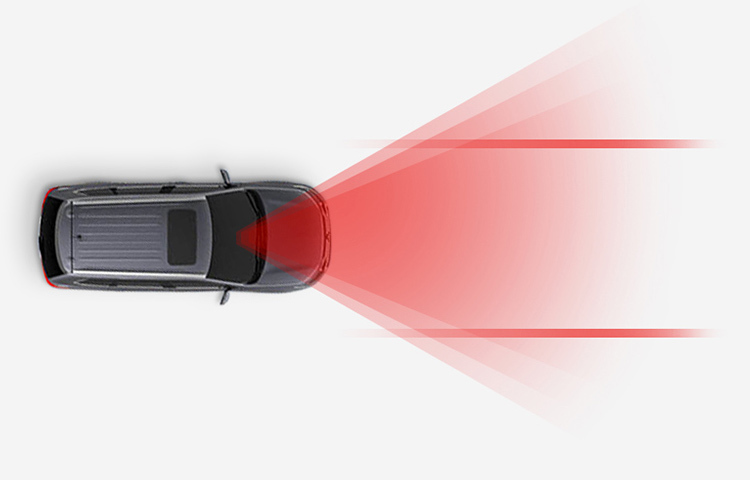 The available Forward Collision Mitigation (FCM) system5 uses both laser radar and camera technology to determine if a frontal collision with a vehicle or pedestrian is imminent. If so, it warns the driver with audible and visual signals, and automatically applies moderate to emergency-level braking pressure to help reduce the severity of the collision or, if possible, to prevent it. You don't have to worry about switching between low and high beams when driving in sporadically lit areas. 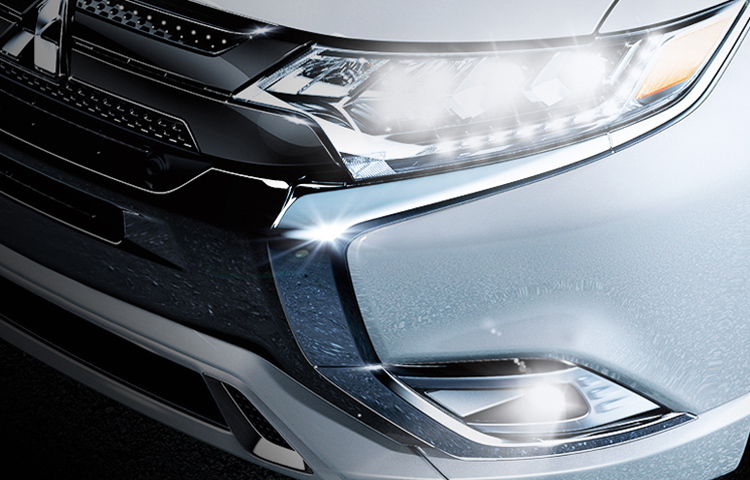 Outlander PHEV's available LED Auto High Beam Headlights will do the work for you by automatically adjusting the brightness level based on the surrounding light. If the Rear Cross Traffic Alert system6 detects a vehicle approaching from either direction while you're backing up, lights on both side mirrors will blink, a buzzer will sound to alert you, and a warning message will appear on the multi-information display screen. 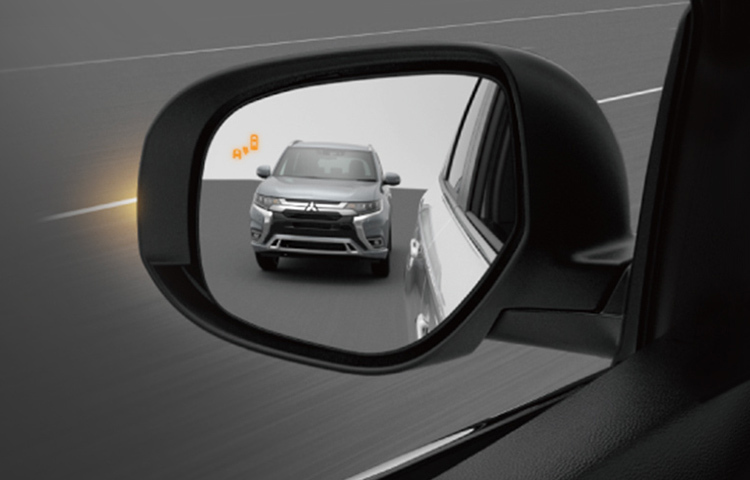 Together, Blind Spot Warning and Lane Change Assist6 alert you when a vehicle is in or approaching your blind spot. When the system detects a vehicle in the next lane traveling at same speed or faster than you, a warning light appears in your corresponding side mirror. If your turn signal is on, the warning light blinks and the system beeps three times to alert you that it's unsafe to change lanes. 6 The Blind Spot Warning, Lane Change Assist and Rear Cross Traffic Alert systems are driver aids only and are not substitutes for safe and careful driving. Under certain circumstances, these systems may not detect other vehicles correctly.